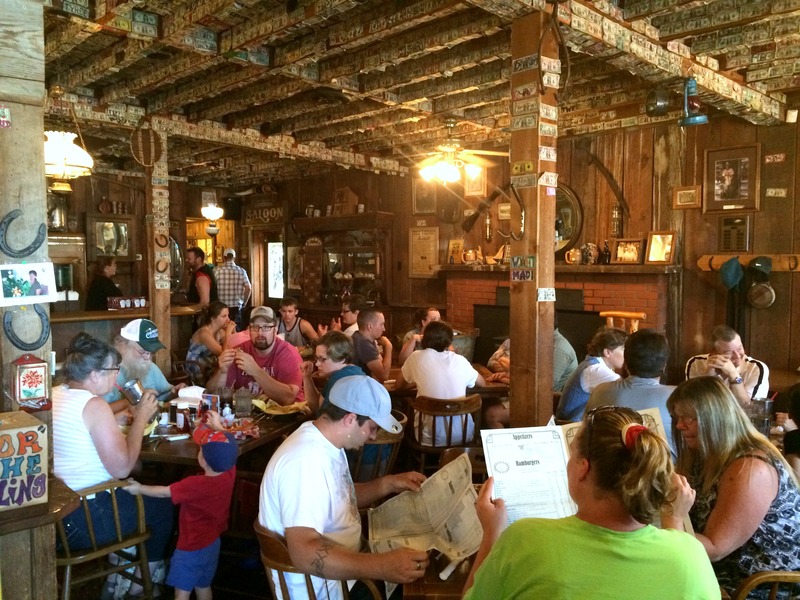 Pay a visit to this old west themed burger joint on your next trip to Mt. Hood. 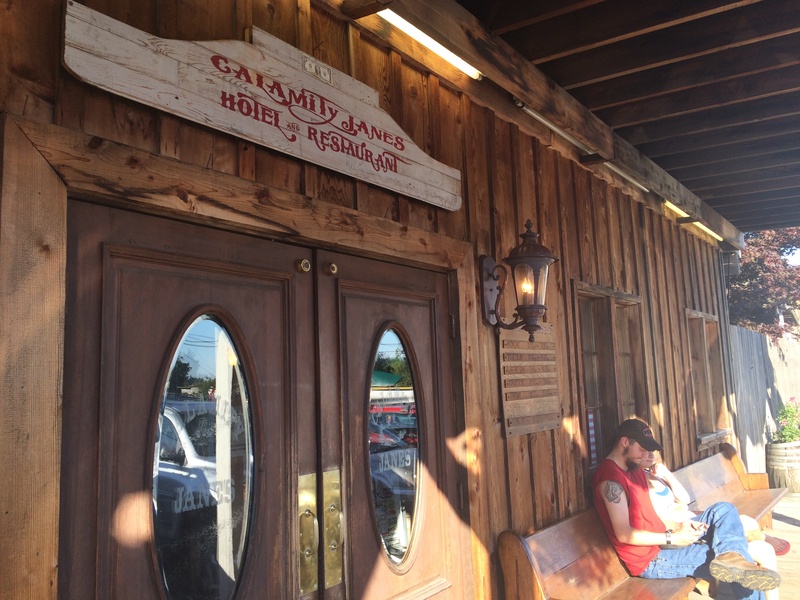 I can’t even count the number of times I’ve driven by Calamity Jane’s on my way to or from Mt. Hood. Each time I think, “I need to stop there someday”, but I never have, until this weekend. We planned ahead and stopped there on our way up for a night hike to view the Supermoon. I honestly wasn’t expecting much, but I still wanted to stop. The yelp reviews were mixed and I figured for a roadside stop it would probably be some pretty sub-par food but I was pleasantly surprised. First of all, the inside was exactly what I was hoping, it looked like an old-fashioned saloon, except packed with tables. There is even a big wooden bar in one corner. 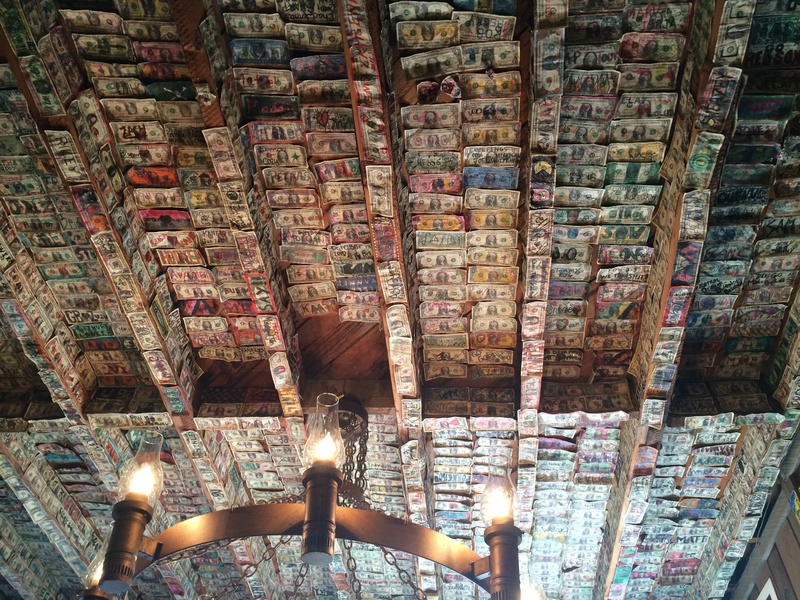 The walls were covered with western memorabilia, photos and paintings of cowboys and Indians, horseshoes, animal horns, and even a musket! But enough about the decorations, this place is all about the burgers. 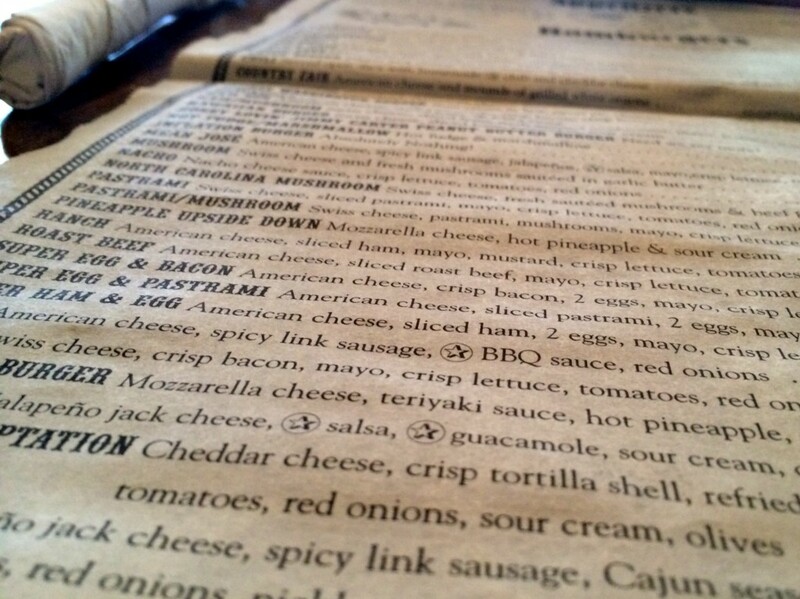 Seriously, they have a ridiculously long burger menu. I didn’t count, but I’d estimate 2 dozen, or more, plus an entire section of “pizza burgers”. There are your classics, and some crazy ones. I ordered my personal favorite burger, bacon & blue cheese, the rest of my table ordered “All-American” burgers, which is just a basic cheeseburger. But also on the menu: a hot fudge & marshmallow burger, chili burger, nacho cheese burger, one with sour cream and pie cherries and of course a peanut butter burger (although that’s nothing special for fans of Killer Burger.) The menu is huge and you can choose between a 1/3, 2/3 and a 1-pound patty. A pound! 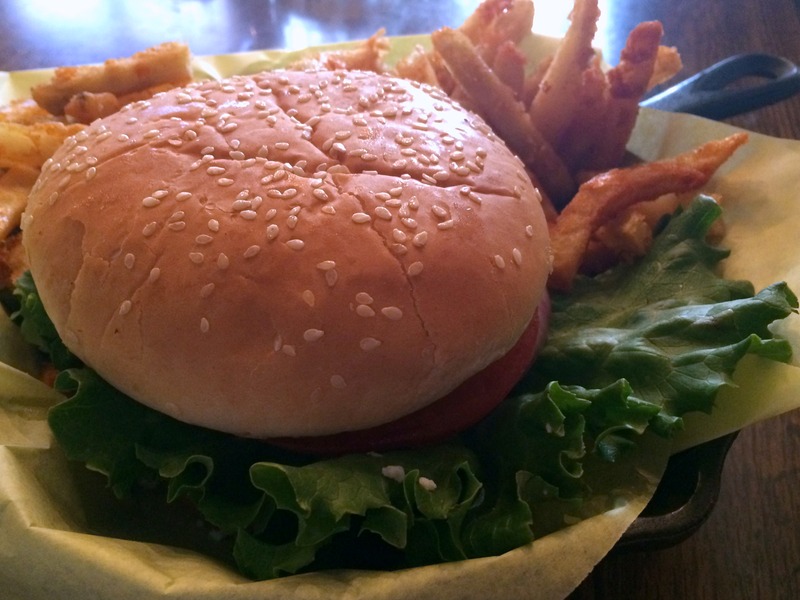 Your burger arrives in a cast iron skillet, packed with fries. But before you dig in, you’re invited to visit “the burger bar” which is a little salad bar that has extra veggies and a ton of toppings and fry sauces. All-you-can-eat ranch and Thousand Island dressing! The fried had an extra crispy coating that I loved and the burger was better than I was expecting! It was packed with blue cheese (big points for me) and beautiful fresh veggies on a soft bun. Of course Calamity Jane’s also sells huge milkshakes, sundaes and other desserts, but I had no room, plus we were all headed out on a 6-mile hike! They also sell beer in giant steins. It looked so cold, frosty and refreshing but no one was willing to take on the hike with that in their system. This was a fun stop, keep it in mind next time you are hungry on the way to or from Mt. Hood. Neat! I also have driven past this place so many times! This will make me stop next time. Hee, I’m glad you finally went in, and this post is so fun, especially the sign off 🙂 I too need to finally go in at one point!